The Board of Directors of Consorcio de Transportes Metropolitano del Área de Sevilla approved on 19 September 2007, the incorporation of 17 new municipalities that will join the 22 currently making up, together with the County Council and the Regional Government, the body in charge of the management of the Metropolitan Public Transport. The extension of perimeter better adjusts to the new enlarged scope of the Sustainable Mobility Plan and includes the following cities: Albaida del Aljarafe, Alcalá del Río, Benacazón, Bollullos de la Mitación, Brenes, Carmona, El Viso del Alcor, Gerena, Guillena, Isla Mayor, Los Palacios y Villafranca, Mairena del Alcor, Olivares, Sanlúcar la Mayor, Umbrete, Utrera y and Villanueva del Ariscal. 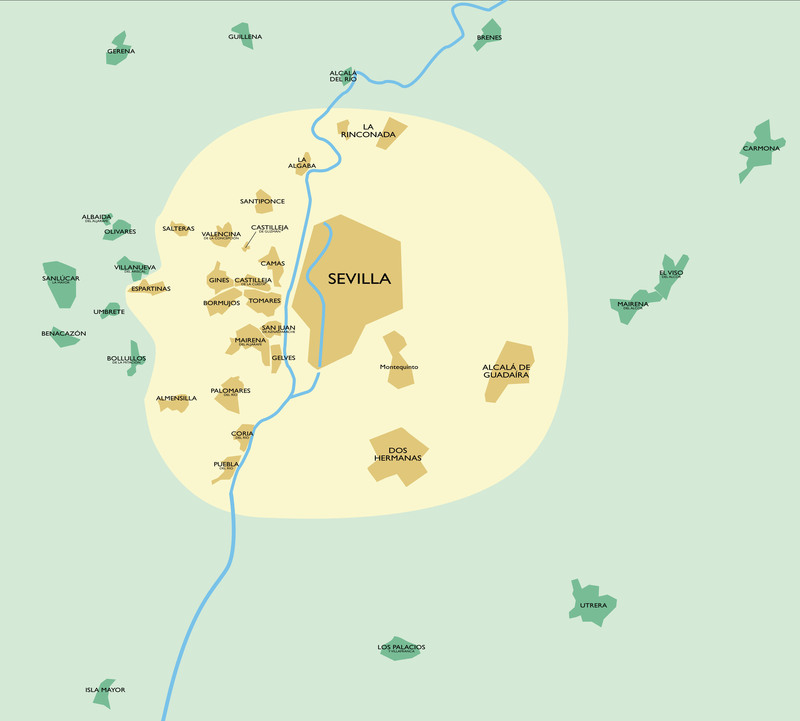 Consorcio de Transportes Metropolitano del Área de Sevilla now serves an area of 4795 square km representing 34% of the Sevilla province surface and a population of 1,400,000 that is to say nearly 77% of the total population of the province. Development of public transport services and integrated fares will be implemented in the extended perimeter and enforce the current Consorcio policy encouraging the use of Public Transport.